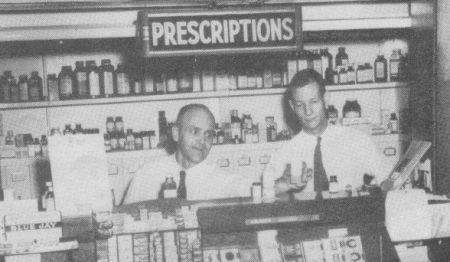 Earlier this year, I got an email out of the blue from an editor at the specialty publications group of Rogers Publishing, asking if I’d be interested in writing an article for a magazine called newpharmacist, a lifestyle magazine for pharmacists. At first I thought that maybe he had me confused with some other Greg Clow who actually has some knowledge about pharmaceuticals beyond being prescribed them once in a while, but it ended up that the mag features a regular drinks column, and they wanted to focus the article for the summer issue on beer. Or more specifically, non-macro beer that’s especially suited to warm weather. As I was finishing up my contributions to the upcoming Summer issue of TAPS magazine last week, it occurred to me that I’d completely forgotten to post a mention here back when the Spring issue came out back in early May. 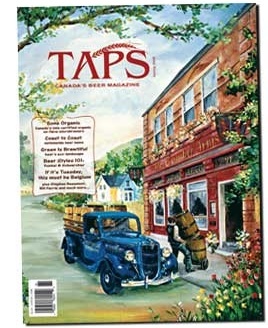 So, here’s the mention: The Spring issue of TAPS magazine came out in early May. A bit later than planned, but in the right season at least. And while it’s still not perfect, it was a marked improvement over the Winter issue. The layout is less busy, are there are more contributors from across the country so it’s less Ontario-centric. I’m still not a fan of the corny bar jokes that are sprinkled throughout as filler, and I think the order of the features still needs some tweaking, but all in all, it’s continuing to move in the right direction. 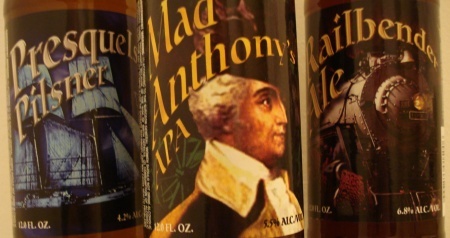 While I’m on the topic of TAPS – as I mentioned previously, my main contribution to the mag is a series of articles on different beer styles, presented under the horribly unoriginal title of Beer Styles 101 (a title I came up with myself, by the way, so don’t go blaming anyone else for it). Hopefully, most of my pitifully small blog readership will be buying copies of the magazine to read my scintillating words in print, but for those who have some sort of aversion to paper, I’m going to start reprinting each column here as following issue comes out. 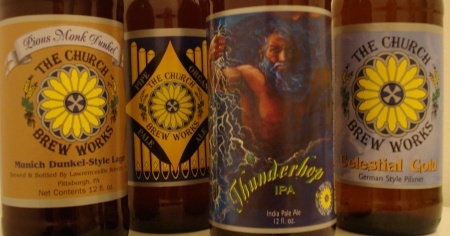 Tagged IPA, Ontario, pilsner, porter, Taste T.O. Tomorrow is Thanksgiving here in Canada, and I also took Friday off work, so I’m taking a bit of time this 4-day weekend to catch up on some blog reading. One thing I’ve just come across is Stephen Beaumont’s post to On The House last Monday where he mentions that October 4th (or maybe 5th) marked the 165th anniversary of the classic Czech lager Pilsner Urquell. Prior to the development of Pilsner Urquell in the town of Plzen in 1842, all beer consumed world-wide was dark in color. New malting techniques that yielded a golden hued grain, however, made it possible for an imported Bavarian brewer by the name of Josef Groll to develop a beer both light in color and crystal clear. (Beer from the Middle Ages is thought to have been quite murky, which made it hardly attractive in the new transparent crystal drinking vessels that had begun to appear.) That beer, still brewed as Pilsner Urquell, became spiritual father to all the golden lagers that followed, from Bitburger to Stella to Budweiser to Victory Prima Pils. What Stephen doesn’t mention is why Josef Groll was brought to Plzen in the first place. Quite simply, the citizens of Plzen were pissed off about the poor quality of the dark, murky ale that was available to them, and they started dumping barrels of it in the town square to make their point. This lead the town leaders to build a new brewery, and then hire Groll to create a new beer for them using the lagering methods that had recently been refined by Bavarian brewers. While his beer was an instant hit, Groll himself was reportedly quite difficult to deal with, and when his contract with the city expired in 1845, it was not renewed. 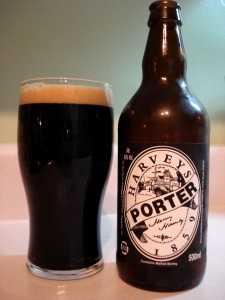 He returned to Vilshofen, the town where he was born, and soon took over his father’s brewery. He remained in the same town until his death in 1887, which fittingly took place while drinking a beer in his local pub, Wolferstetter Keller. Getting back to the beer itself: There are those who have been drinking longer than me who claim that Pilsner Urquell is no longer the beer it once was. Now owned by international giant SABMiller, the beer is no longer fermented in the traditional oak vessels but rather in modern stainless steel, a change that was made roughly 15 years ago. 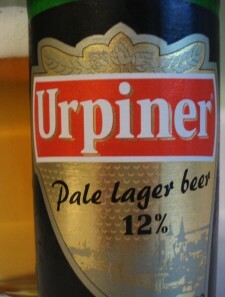 Production of the beer has also been expanded by brewing some in another SABMiller-owned facility in Poland. 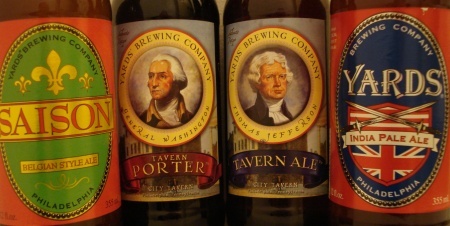 Moves like this have angered purists, but to me, what’s important is whether or not the beer is any good. 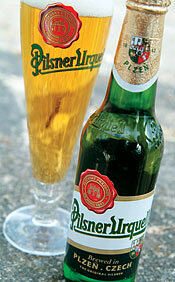 And to my palate, Pilsner Urquell is still a benchmark beer. Having never tried it before the move to steel fermentation tanks, I have no idea how today’s beer compares to the oak-fermented version, but it’s still one of my favourite lagers. And the fact that something like 90% of the beer consumed in the world today is trying to emulate it (albeit, most of it doing so very poorly) must count for something, mustn’t it? Earlier this year, however, I decided to start eating meat again for a number of reasons. I won’t go into all of them here, but I will admit that at least some of it was due to me quite simply having cravings for meat more and more often. I nearly caved a couple of times, and then finally fell off the wagon when I was given the opportunity to attend a Brooklyn Brewing dinner at beerbistro back in February where the menu featured many delicious meaty courses. Since then, I’ve been eating meat on an occasional basis, most often at dinners or events that I’m invited to attend via Taste T.O. or Bar Towel. 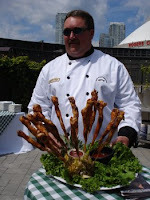 One of the most recent of these was a lunch earlier this week at Steam Whistle Brewery featuring the succulent creations of Canada’s reigning Grand BBQ Champions, Team Cedar Grilling. Consisting of Steve Adams, Daryl Maybanks and Mike Adams, the Team Cedar trio are a non-profit team who depend on sponsorship to defray their travel and equipment costs (although the $6500 they won a couple of weeks ago probably helps as well – congrats, guys!). Hence their partnership with Steam Whistle who not only hosted this little media get-together, but who also have their beer featured in several of the Team’s recipes. Held on Steam Whistle’s sunny patio just south of the CN Tower, the lunch started with Cedar Planked Garlic Shrimp with Asiago Gratin served to us right off the planks. There were also an array of salads available, but as we started spooning them on to our plates, one of the guys shouted over that we’d better not eat too much as there was a lot more to come from the grill. Like, for example, their award winning Parrot Sticks. These are chicken wings that are stretched to their full length and skewered, resulting in a sort of wing-meets-kebab thing that looks kinda funny but tastes damn good, especially when dipped in the accompanying Steam Whistle Chicken Sauce. Of course, what we really wanted to try were the ribs, and when they finally made it off the grill, they didn’t disappoint. Prepared using the team’s Steam Whistle BBQ Sauce recipe, they were juicy and tender and bone-sucking good. So good, in fact, that they made the Pulled Pork Sandwiches that followed almost anti-climatic. 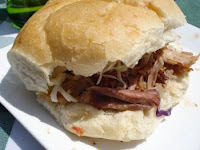 Which is too bad, because the meat itself was possibly the best pulled pork I’ve ever had, it was just let down a bit by the doughy supermarket style bun it was served on and the odd inclusion of cole slaw on the sandwich. Still, I ended up finishing it even though my stomach was threatening to explode from the previous courses and the couple of beers I’d already put back. Speaking of the beer – as you’d expect, Steam Whistle Pilsner was the only beer option. 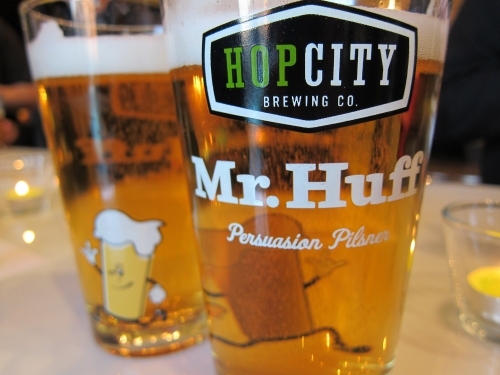 This beer/brewery gets a lot of flak from the beer geek community due to the fact that it’s a fairly simple, straight-forward, crowd-pleasing lager. But I’ve defended them in the past, and will continue to do so now. Sure, it’s a simple beer, but it’s also a very well-made and refreshing one, and if you drink it cool and fresh – such as the less-than-a-week-old bottles we were served to us at the brewery – it’s a perfect accompaniment to eating some killer BBQ on a warm patio. 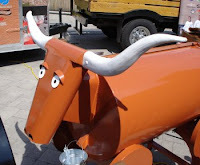 For those in Toronto, Team Cedar Grilling will be appearing at the Fort York BBQ Championships on Sept. 14-16. If you’re a fan of the swine and the smoke, you should definitely plan to be there.